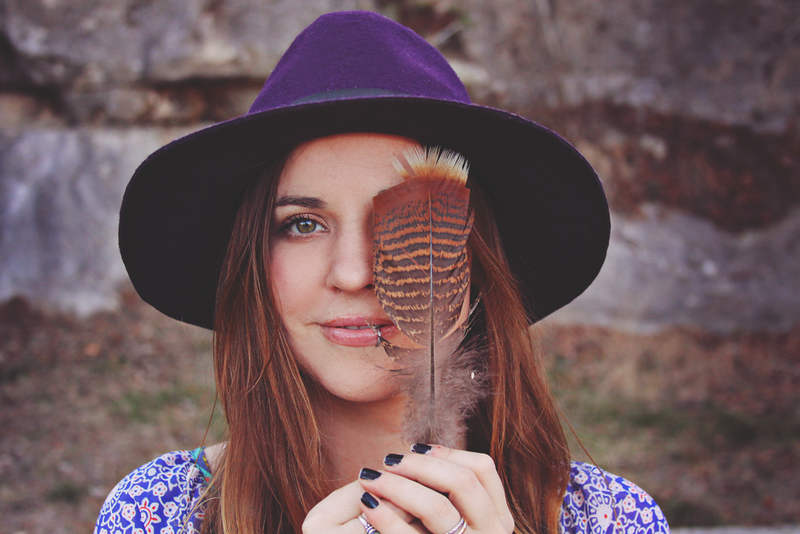 Im so excited to have completed the photoshoot for Roots & Feathers yesterday. It came out completely different than I had envisioned, but I think just as cute in the end. Big relief to have it done. Now just editing and putting it all together for a lookbook! It took up so much of my time yesterday that today will be spent making up the things I did not get done. All custom orders will be getting done this week!!! Oh, and now that I have my own phone with a good camera on it, Im a bit obsessed, I took 68 camera pics yesterday, eeeekkkk!!!! In this pic below you will see my new curtains!!! Love them so much. A sunflower in my tiny garden! Its so tall. My new business cards!!! They match my new blog look and I love love love them. And a huge feather I found in our driveway yesterday. Peeks from the photoshoot yesterday. I had a whole bucket of clothes to choose from. Fun fun stuff! Sometimes it is quite challenging being the model, photographer, make up artist, wardrobe stylist, set designer, etc etc all at once. It can get overwhelming. I pretty much have to do shoots like this when I am by myself with no distractions. And since it takes alot of guesstimating you have to take several shots to get one good one. But in the end, I am in control of all creative direction which means it is all my own vision, so whether its good or bad, only I can take the credit or the fall. And of course after all of the crazyness, I just had to get silly. And the rest of the day quickly became a tshirt and jeans day. I love my new little Doors tee that I scored at the thrift store a few days ago. Ive kind of worn it everyday since. Our friends were not able to make it over last night for our Tarentino movie night. So James and I took advantage of the pallet on the floor I had made and sprawled out and ate our homeade pizza and watched tv, with Bella by our side. It was nice!